"From CTFO comes an Incredibly Delicious Powerful, Natural Immune Booster and Antioxidant Botanical Supplement that ROCKS... The Super7 Chew!" CTFO's sugar-free "body-ready" Super7 botanical superfruit formula gives you fast, more assured health benefits that you can actually feel! Sweetened with Stevia, the Super7 formula is designed for extreme antioxidant properties, exceptional taste, maximum absorption, and complete assimilation by your body's cells! 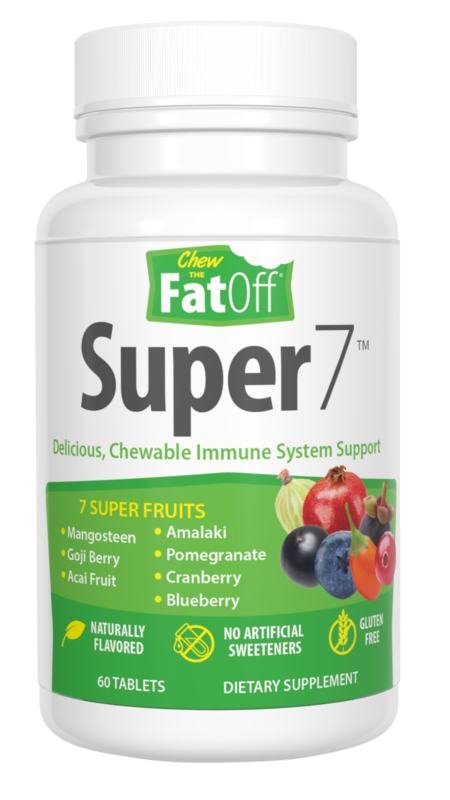 Super7 is an excellent-tasting blend of 7 major Super Fruits; Acai, Amalaki, Blueberry, Cranberry, Goji, Mangosteen, and Pomegranate. The many health benefits of these Super Fruits are documented well, providing antioxidants, enzymes, energy, and way more. Lots of products have been created containing one, maybe two of these incredible Super Fruits. For the first time ever, CTFO has combined all 7 of them into a synergistic, perfectly balanced blend that actually enhances their full array of health benefits. CLICK HERE and listen to the Super7 announcement call. Acai is richer in antioxidants than cranberries, raspberries, blackberries, strawberries and blueberries, making it perfect to supplement the immune system. Amla is also known as Indian Gooseberry. It is used in Ayurvedic medicine, a traditional form of treatment with origins from India. Amla is extremely rich in Vitamin C, having 30% more than oranges. Blueberries are known as the antioxidant super fruit, due to high concentrations of antioxidants and anthocyanadins which have great nutritional value. Cranberries have been used for ages by Native American tribes for urinary tract function. They are very high in antioxidants and a great benefit for many systems in the body. Goji is also known as wolfberry. Some studies have shown it to give a better sense of wellbeing and calmness, as well as promoting healthy sleep and immunity. Mangosteen contains compounds called Xanthones, which are naturally occurring, high potency antioxidants. Mangosteen has also been called Asia’s queen of fruits and is known to supply a burst of energy. Pomegranate is known for having antioxidant properties and being high in natural occurring enzymes for help with digestion. The synergistic effect of CTFO’s proprietary blending of these 7 amazing Super Fruits magnify the health enhancing benefits of each one and make Super7 a delicious, balanced, immune system support and natural source of energy and stamina. All of above is found in Super7! Just $49 (+ shipping) for a FULL MONTH Supply! "With a Personal Training & Nutrition background, I have tried, and used extensively, several dozens of nutritional products. Super7's mind-blowingly delicious flavor is outstanding given its dense antioxidant shield, and the fact that it is sugar and gluten free. I love the nutritional peace of mind it brings me everyday! . " 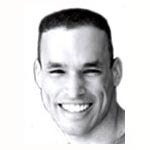 - Jose G.
"My name is Lee and I was one of the lucky people in the initial test group for the CTFO. I have to tell you, the results I have achieved have been absolutely incredible! I cannot believe the difference in the way I look and feel - and in my health. In just 8 short weeks I have lost 37 pounds, 20% body fat, and 6.5 inches off my waist. The most spectacular change has been in my health; my blood pressure is now normal without the use of medication. My cholesterol has also completely normalized. But the most amazing blessing has been that although I have had to take insulin for 23 years to control my blood sugar levels, I have now been able to decrease my insulin units by 90%. My doctors are dumbfounded and tell me, "Whatever you are doing, keep it up." I HIGHLY recommend CTFO to ANYONE that wants to lose weight and especially those with health problems that are robbing years from their life and life from their years." - Lee F.
"When I was asked to be in the original test group to try the CTFO weight management program, I felt bad for them. I was thinking I would not be a very good participant. My previous attempts to lose weight always resulted in regaining the original weight I lost and then more. Since I had been struggling with my weight for over 20 years, I wondered, - How could this be different? - To my surprise it is! The biggest difference is that after the first week on this plan, I knew I was going to make it. I really like the taste of the shakes and the tablets and I don't feel hungry. Unlike all the other programs I have tried, I feel healthier and have more energy. I especially enjoy that the unique system for drinking pure water actually has me drinking more water. I also like that the program gives me a day off once a week to look forward to. So far, after only 8 short weeks, I have lost 15 pounds, and my old clothes are loose on me. I have more to lose, but now believe the rest is also coming off. Finally, my prayers for a healthy weight management solution have been answered." - Delores. "My name is Michelle and I wanted to say a quick THANK YOU THANK YOU THANK YOU for having had the opportunity to try CTFO! I wanted to share with you a bit about my experience. I was fortunate to be part of a trial group that used CTFO chewables for 21 days. They told me "Do not change your diet or your exercise plan and see what happens." I was thrilled to shed 7 lbs and most importantly SIX total inches during the trial. Although you don't change the eating habits, CTFO changes you :) I found myself not hungry or craving foods and not snacking on candy or chips, BONUS! Needless to say I was anxiously awaiting the products release for sale, although a bit apprehensive as a drink was now being added. Drinking diet products is NOT my favorite; I am one who avoids any medicine that you drink, but was willing based on the results from the trial. You see, I have tried every diet product and program that is available over the last 30 years, Atkins, Scarsdale, Nutri System, Slim Fast, Weight Watchers, even Phen Phen, the list is endless. I figured this would be a winner since I had only gained back 3 of the 7 lbs I lost from the trial. When the program became available I got on it right away. I am a 51 year old woman and I was getting married in July! I had a beautiful gown but loads of "back fat" that I was terrified would be the focus of my wedding ensemble. So I took my weight and measurements and braced myself for the drinking. I was pleasantly surprised, I drank it quickly and started the plan. In the first week I lost 9 lbs, and 6 more inches! WHAT THE HECK WAS HAPPENING???? The product is aptly named for it truly chews the fat off. Two months into the program I went for a dress fitting, the seamstress said, WHAT are you doing? This dress just zips right up! I said I am eating and drinking this great product and it really works! I found myself looking forward to the drink! Low and behold I used this product for 11 weeks leading up to my wedding, and lost an incredible 27 lbs and 24 inches! THREE INCHES OF BACK FAT ALONE! I wore my wedding gown beautifully, thanks to CTFO and I could not be more excited to say that even on my honeymoon and the few weeks following, when I took a break from the program, miraculously I gained only 4 lbs back! It truly has changed the way I look at dieting! CTFO is remarkable and it is easy; before you know it you are in a routine that you want to keep using because the results are spectacular. THANK YOU! From the bottom of my heart, I could not be more pleased with my CTFO results!" - Michelle. We're so absolutely sure that you will love Super7, and all CTFO products for that matter, that we will issue a no-questions-asked refund of your purchase. A sixty (60) day money back guarantee is offered on each of CTFO's products and product packages on the purchase price paid, less any shipping and handling fees. Call our office at 707-449-4567 within 60 days of your purchase and you will be given instructions on how to get a refund. You have NO risk, NOTHING to lose, and optimum health to gain! Is there any oversight of the product manufacturing process by any agency? ALL dietary supplements are manufactured according to regulations as set forth by the FDA, currently under the Food, Health and Cosmetic act. The Dietary Supplement Health and Education Act (DSHEA) has Good Manufacturing Practices (GMP's) published and are enforced by the FDA according to company size. Large companies are currently required to manufacturer under DSHEA GMP's, medium size companies by the summer of 2009 and small companies by the summer of 2010. The manufacturer of Super7 currently manufactures under a structure very close to the DSHEA GMP's and is audited by the FDA for compliance. Are there any contaminants, allergens, or pesticides in Super7? The raw materials meet the rigorous receipt profile established by the Manufacturer and the Dietary Supplement GMP's. There are no allergens as per the required FDA labeling laws. The product does not contain soy, tree nuts, wheat, fish, dairy, eggs or crustacean shellfish. If you are allergic to other specific ingredients, please read the label carefully before using Super7. Yes. Being a whole-food supplement, it is safe for children over two years old to consume. Rule of thumb is one chew daily, half of the adult dosage. In any case, consult your child's physician first. Can I duplicate the Super7 Formula on my own? You would need to buy all seven rare superfruits in varied quantities, and it would be very expensive for a full month supply of each. Even then, you would not truly duplicate the Super7 formula. Is it equally beneficial for both men and women? It is a good source of enzymes and antioxidants for everyone male or female. Will this increase the risk of toxicity when combined with prescription meds? It is always wise if taking prescription medications to check with your physician. However, the ingredients in Super7 are not known to have contraindications with pharmaceutical drugs. Read over the Super7 label to educate yourself. Each person is responsible to understand the medications they are taking and any contraindications that may arise from the addition of any over the counter nutritional supplement. What restrictions are there for transporting Super7 out of the country? A person can take a product with them for personal use, in most countries, up to three months worth of product. Is Super7 food or plant based? Super7 is classified as a dietary supplement and is a combination of whole-food botanical superfruits. You could not get the nutrients that are in Super7 just by eating a regular diet. Can I really make money for free, without having to make a personal purchase myself? ABSOLUTELY! You will get paid on all initial, and subsequent purchases made from every person that you personally refer on a residual, ongoing basis, with no limit on how many people you can refer. There are never any obligated purchase requirements imposed on you to get paid. You get free websites that you can use to share with your contacts, post on social media, and any other method to send people to that do all of the selling and informing for you. Click here to get started. It's 100% FREE forever! Is there a business building team support and training system? There most certainly is... 3Steppers! This page you are reading here, plus over 10 others, along with live weekly training and other promotional resources are avilable via 3Steppers.com. Click the logo below to register. It's free! * Statements on this page have not been evaluated by the Food and Drug Administration. Your results will vary, mainly dependent on your personal commitment level. These supplements are not intended to diagnose, treat, cure, or prevent any ailemnt or disease. Independent ™CTFO Distributor Harvey Vickery.